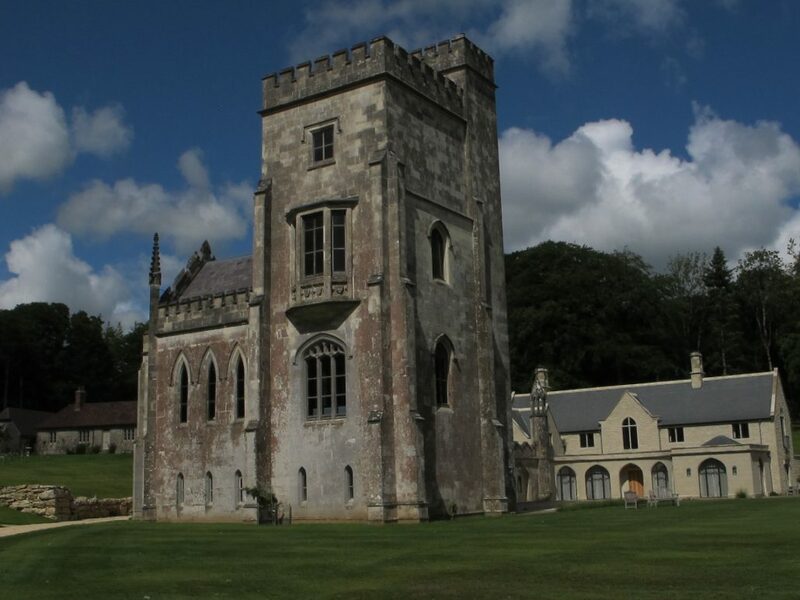 The 06 June summer outing of The Shaftesbury & District Historical Society brought 30 members to the site of William Beckford’s great Gothic folly at Fonthill Old Abbey. Only a fragment remains of the original cruciform pile, built on the proceeds of sugar and slavery. That the tip of the northern limb of the Abbey still stands is a credit to the current owners, the Morants, who have added a modern house in sympathetic style. In the Tower Room Sidney Blackmore of the Beckford Society outlined the ambitions of the son of Alderman Beckford, a former Lord Mayor of London and MP for Shaftesbury. William’s own dreams were frustrated by his association with scandal – he was gay in an intolerant age – and he compensated by grandiose building which later collapsed, as did his income from the sugar plantations. He was still wealthy enough to remodel numbers 19 and 20 Lansdown Crescent in Bath, where Beckford Tower is his monument. The afternoon concluded with a delicious tea at The Angel in Hindon, where members thanked Lavender Buckland for conceiving and Claire Ryley for organising a memorable outing. Do you know when this photo of Gold Hill was taken? Was this photo of Gold Hill taken in 1952?